Hoping to look dapper at an upcoming wedding or anniversary party? Make a pit-stop at Pitaraah, a multi-designer store in Defence Colony market and score designer apparel, footwear as well as accessories. 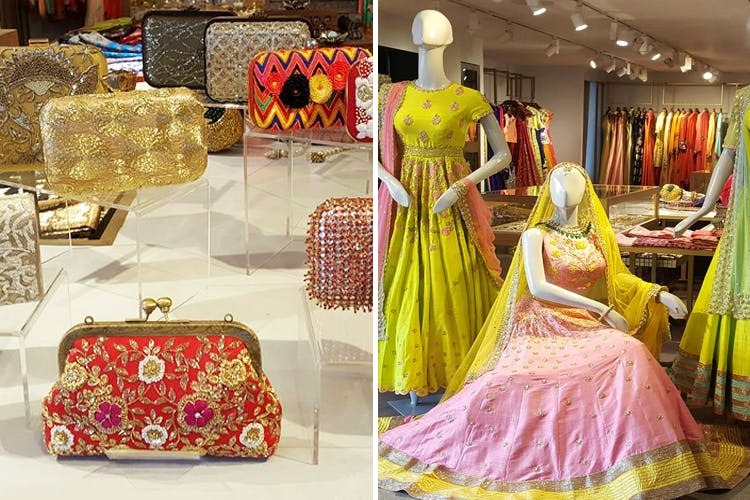 Started by two fashion aficionados, this multi-designer store caught our attention because of their impressive collection of stunning outfits (which they are open to customising and altering for you) by known names like Rohit Bal, Ridhi Mehra,Varun and Nidhika, Sahil Kochhar, Raw Mango and more. They’ve even got designer accessories and footwear. We love that it's a single stop for buying everything you could possibly need for a complete party look. It'd be nice if they had an online version of the store (for the lazier among us).